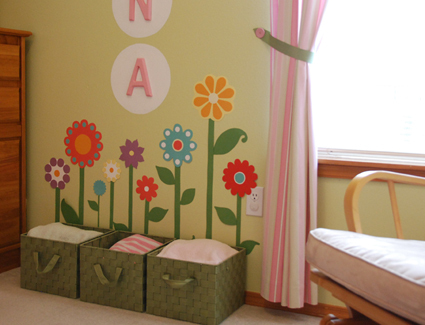 In celebration of spring time, I added these colorful paper flowers to my little girl’s room. It really brought the room to life and it cost next to nothing. These flowers are really easy to to create. Here’s how mine came together. The first step is choosing your materials. I began using a variety of colors from a left-over pile of construction paper at home. The colors and texture just didn’t look right. 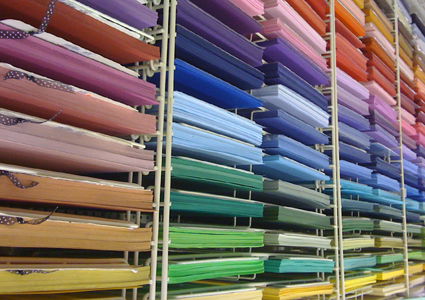 The best paper for the job can be bought for $.25 to $.50 cents a sheet at a local craft store. I started by finding a sheet that matched the wall color of the room. Then I chose a selection of colors that complimented the wall color. I highly suggest going through this step – it really effected the colors choices I made. 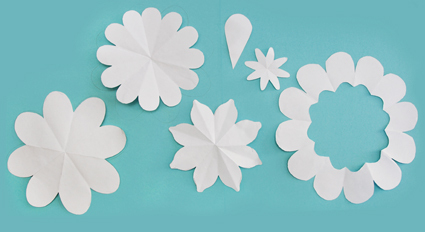 Rather than pencil a flower shape or create one on the computer, I found the best and easiest way was to cut shapes out of plain printer paper. I folded the paper just like you would for a snowflake. Some were folded by thirds, and others more times to create different amounts of petals. 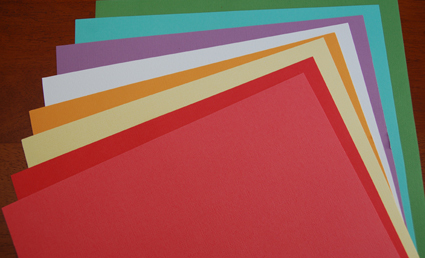 Then it was as simple as cutting rounded edges and experimenting with different petal shapes on the folder paper. When opened up, these white flowers were the result. The next step is tracing and cutting out the flowers. After tracing the templates and cutting out flower shapes, the flowers really needed a little something extra to make them look finished. Using round objects from around the house to trace, I cut circles to decorate the centers and petals of the flowers. Some of them, like the purple and white flower above, are nothing more than a large plain circle with smaller circles glued around the outside to make the petals. 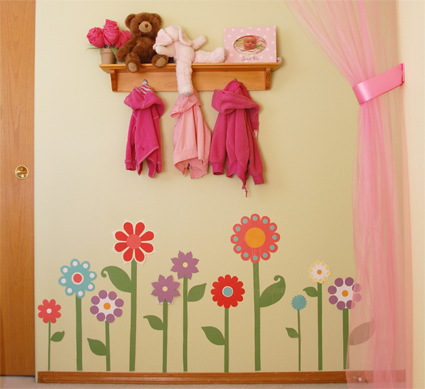 When putting these on the wall, start by tacking up the flowers at different heights and clusters until they have a whimsical, yet balanced feel to them. The stems are strips of paper cut into different widths to suit the different flower sizes. I stuck these to the wall using nothing more than Scotch tape. I has worked beautifully so far. I couldn’t have hoped for a better result. 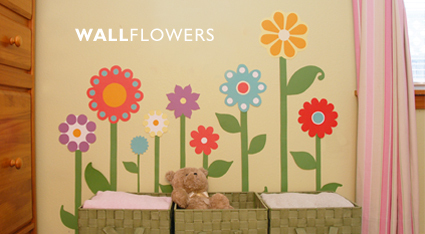 Using a pattern made for perfectly balanced and uniformly shaped flowers. These will be a permanent fixture in my little one’s bedroom. I love how the flowers are growing out of her green storage baskets in this last picture. I’ve always felt like those baskets need to be in some shelf or closet when they are out on the floor. You gave them a special wall place that doesn’t look out of place. I love my creative friend. We really need to get another date on the calendar!